Mastered From Original Analog Tapes By Kevin Gray at Cohearent Audio! Rolling Stone 500 Greatest Songs of All Time - "Sweet Home Alabama" - Rated 407/500! This 1974 album produced the group's biggest hit single, "Sweet Home Alabama". The single reached #8 on the Billboard Hot 100 chart in 1974 while the album reached #12 on the Billboard Album charts. Selections also include "Don't Ask Me No Questions" and "The Battle of Curtis Loew". 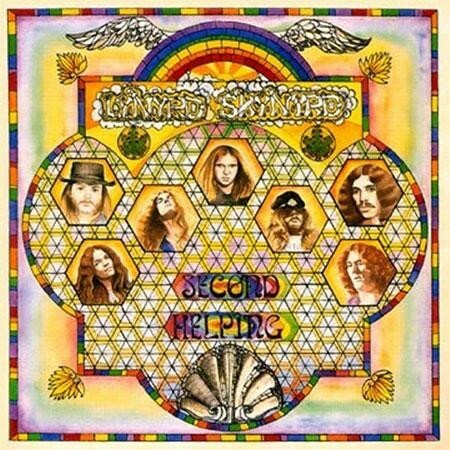 Lynyrd Skynyrd wrote the book on Southern rock with their first album, so it only made sense that they followed it for their second album, aptly titled Second Helping. Sticking with producer Al Kooper, the group turned out a record that replicated all the strengths of the original, but was a little tighter and a little more professional. But it also revealed that the band, under the direction of songwriter Ronnie VanZant, was developing a truly original voice. Of course, the band had already developed their own musical voice, but it was enhanced considerably by VanZant's writing, which was at turns plainly poetic, surprisingly clever, and always revealing. Get ready for some Southern hospitality, courtesy of Analogue Productions, Quality Record Pressings and one of the hardest-rocking bands to ever grace a stage! With a catalog of over 60 albums and sales beyond 30 million, Lynyrd Skynyrd remains a cultural icon that appeals to all generations. • Mastered From Original Analog Tapes By Kevin Gray at Cohearent Audio!